1) This is slightly old news but I'll be reviving the idea once again. Here's the primer on the working of an ABS system, like that in your automobile. 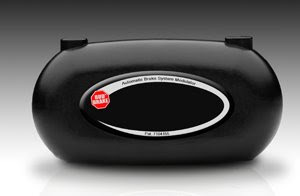 a) A company called BudBrake came out with a product for the bicycle not too long ago called the Budbrake ABS Modulator. The whole idea behind it was to translate balanced braking to the front and rear wheels so that any braking imbalance on the front wheel that will later lead to a lock-up can be prevented. In pictures, this looked like a black box like gizmo, oval in shape at about 1.3oz, that was to be installed at the front of the handlebar roughly at the point where the brake cables crossed each other. This was the device that would automatically feather the brakes for the rider. What the device had in it, and how effective it was is anyone's guess. 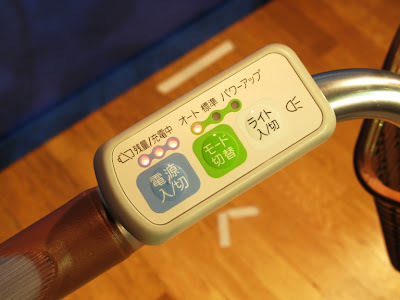 In a bike forums posting, the co-owner of the company expressed his feeling that this device is best suited for inexperienced cyclists, or those who are riding a bike after a very long time. According to him, it is these folks who have more of the tendency to unskillfully give the deathgrip to brake levers at any perceived sight of danger. b) The other most colorful idea for a bicycle ABS was a thought thrown out by David Scothern on HalfBakery (which also happens to be an excellent sight for half boiled engineering ideas on anything and everything and related critique from readers). 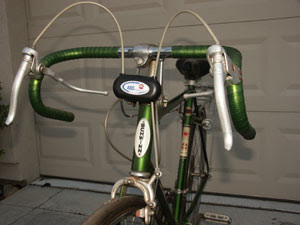 Hall effect speed sensors (like current bicycle computers) on both wheels would allow bicycle speed to be detected during normal riding. On application of the brakes, a set of solid-state accelerometers would measure the deceleration of the bike and compare it to the wheel speed. If a wheel was found to be stationary when the bike was still decelerating, an actuator would slacken the brake cable just enough to restore movement and then re-apply the brakes, much as a car's ABS operates. Under conditions of power loss (flat battery) the actuator would assume a fail-safe position. As the actuators would be the only moving parts, useful battery life should be available from a relatively small pack." You can further read suggestions and critique to his ideas here. If any of you have anything to yield on this subject, feel free to drop a comment. Do you feel this is a viable solution to further increase safety for newcomers to cycling? 2) In other news, Sanyo has launched a cool electric bicycle featuring twice the power assist of its previous model, and featuring regenerative braking as well. Check out this news article with a short launch video in Japan. Don't leave without your chillout tune for this week. The D.O.C. No one could do it better. 1989. This video reminds me of a man named Dr. Michele Ferrari. The Budbrake guy sent an email to our website, too, and when I asked him about how the device really worked (as in, "what's inside the box? "), he was extremely evasive and stuck to the marketing hyperbole from their site. The Hall-effect guy sounds like he's onto something, but I just don't see it as being terribly necessary for even novice cyclists. Cool idea and implementation though.